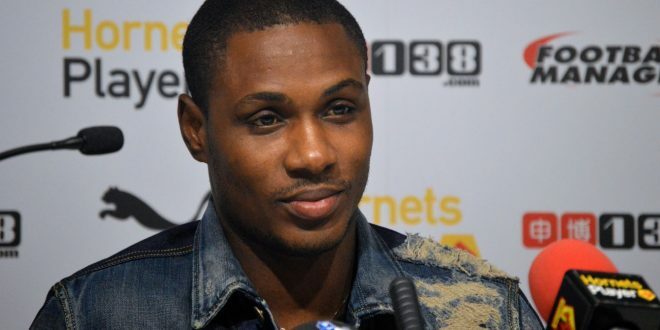 Nigerian International and Super Eagles striker, Odion Ighalo, has joined Chinese side Shanghai Greenland Shenhua F.C. Ighalo joined his new club after his previous Changchun Yatai were relegated to the Chinese League One in December. The club took to their official Twitter account to announce the striker will be joining the club. ‘Nigerian striker Odion Ighalo is joining Shenhua. 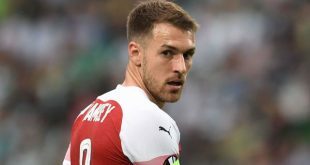 He will reunite with Flores from their Watford days. Welcome’, the club wrote on their Twitter page. Ighalo will also reunite with veteran Nigerian striker Obafemi Martins who also plays for the Chinese club.